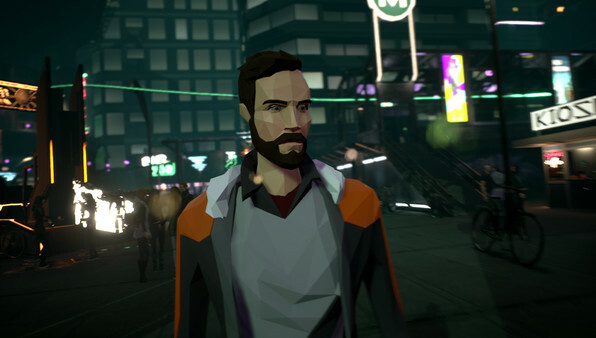 Chris explores transhumanism in State of Mind. Transhumanism has become quite the hot topic in recent years. 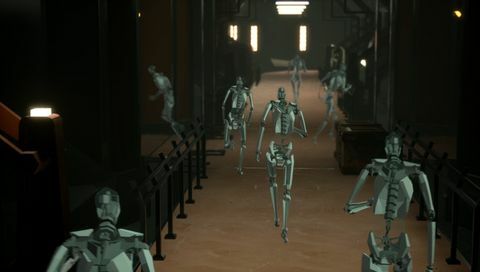 From the resurgence of the Deus Ex franchise, to films like Ex Machina and the new Bladerunner as well as the massively successful Westworld on television. The questions about what comes next for human evolution, and what being human means are again being asked to a wide audience. The key difference in the 21st century is that as science edges ever closer to what we still think of as Science Fiction, these questions become less “what ifs” and more like “when wills?”. This is fertile soil to plant new ideas, and gaming is the perfect medium for them. In the year 2048 reality is a much more abstract concept. AI and VR not only blur the lines between reality and fantasy but have begun to change the very idea of what reality really is. Two men have the very notion of their existence brought into question. The notion of what is real, and what is constructed has a far more personal meaning, and potentially far reaching consequences. Richard and Adam live in different cities, but share some startlingly similar life experiences. Both have recently survived serious accidents and have returned home to discover their families have vanished. 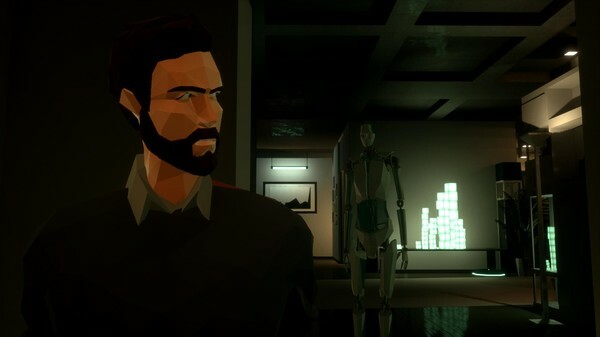 As you progress through the game you will swap between Richard and Adam to try and find what happened to your family, but in doing so both men will find a larger mystery that may change their world. The set-up here is not anything new and the sci-fi tropes are painted on pretty thick throughout. The set-up here is not anything new and the sci-fi tropes are painted on pretty thick throughout. Where State of Mind attempts to differentiate itself is in the presentation. Visually the game is gorgeous. Where genre contemporary Detroit: Become Human gave gamers a stunning photo-realistic world, State of Mind instead goes for a unique mixed hi-def low-fi approach. Characters are low polygon models using simple flat shading. The effect is stunning and rather beautiful in contrast to the world itself which is highly detailed with some of the most impressive texture work I have seen in a non-AAA title. The juxtaposition is at times breath-taking, and always interesting. 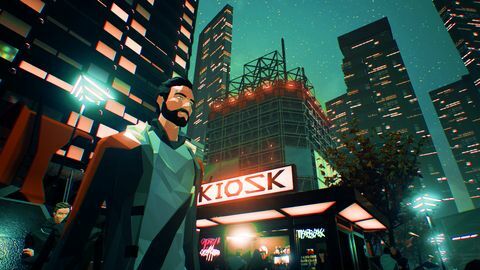 Visually State of Mind is one of the most gorgeous games released in 2018 and a style I would like to see used in more games in the future. With such a stunning world to explore and some exceptional in-game world building, it is a real tragedy that it’s such a chore to wander through. Controls are oddly unresponsive, using a mouse and keyboard is flat-out awkward due to what seems like deliberate input lag, but even when using a controller there is a turning in jelly like quality that is a constant distraction. 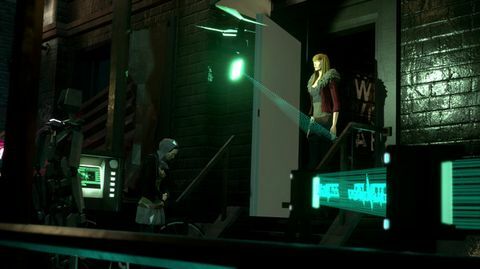 It’s never a game-breaker as after all this is an Adventure Game not a twitchy shooter, but it did mean I bumped into objects far too often and made positioning Richard or Adam irritating far too often. When is comes to states of mind, constant irritation is not something any game should be delivering. This however is an Adventure game and their legacy of janky controls precedes them, and many great games have succeeded despite this. A great story forgives many sins and story is at the core of the State of Mind experience. 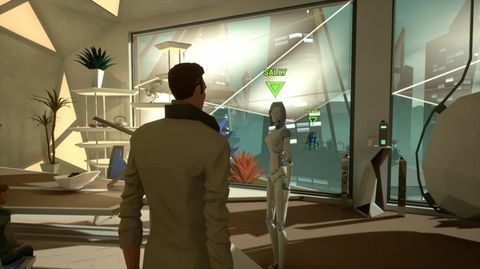 And while it does broach the deeper questions of transhumanism, AI, and identity it never really allows the player to explore these ideas in any depth. The game asks the questions, but never follows up. Worst of all it really loses itself in the latter stages just when it should be hitting the player with the big revelations. Instead I was presented with not only exactly what I expected but worst of all what I’ve all seen far too many times before in this well-trodden sub-genre. There is a lot of window-dressing and a disappointing lack of substance. This too is true of the core game mechanics. Adventure games live or die by their puzzles and here is really where State of Mind lost me. For the first hours you’re essentially just asking questions and ticking mandatory check boxes. While it does a great job of building out the world I found the “complete the checklist” nature tedious. In some cases, you literally cannot leave a location until you’ve examined everything or asked every available question to every person in a specific location. To me at least this is the antithesis of fun and as there is no challenge to overcome, or puzzle to be solved it becomes very boring, very fast. In the final hours things do pick up on the puzzle front. 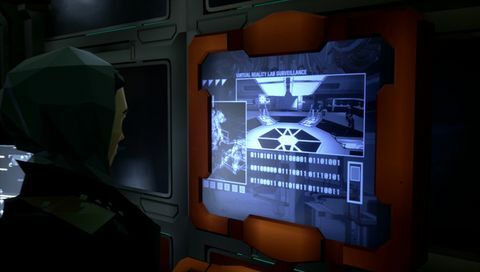 Using your in-built augmented reality abilities, you are offered up environmental as well as investigative puzzles you need to solve, and while these are never all that challenging they at least offer up some degree of interactivity that surpasses the “go to point/person A, and press button Y” monotony that had been the bulk of my experience up until that point. 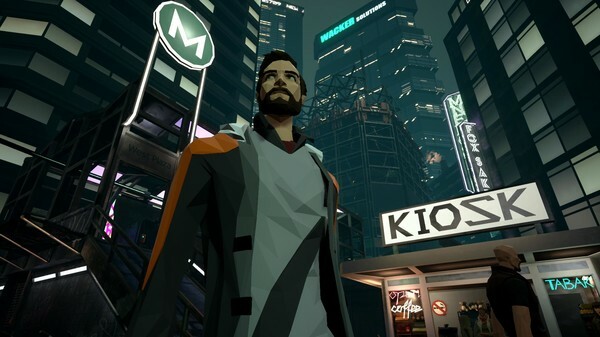 State of Mind is far too much of a passive experience, with little challenge and virtually no choice given throughout most of the 12 or so hours it took me to complete. As someone who loves Adventure Games I struggled to wade through this one. Not because anything it does is particularly bad, in fact parts are amazing. 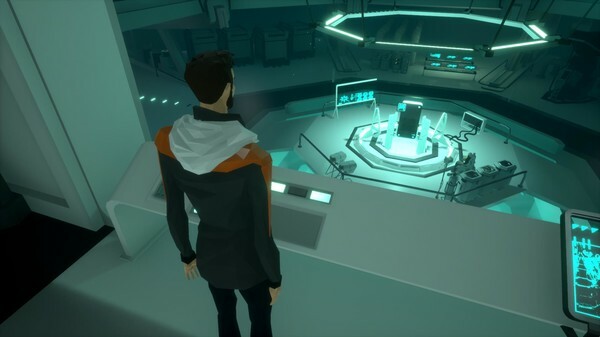 But ultimately while State of Mind asks all the right questions, it does not give the player agency enough to explore them and well these questions have been asked many times before, and better. 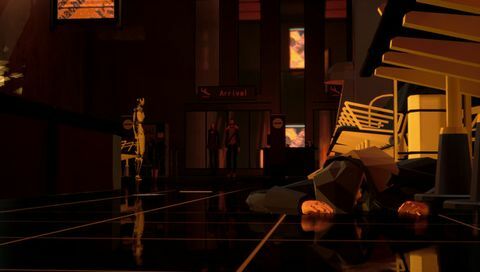 Daedalic Entertainment’s State of Mind wants players to explore the idea of what is it that makes us us, but never provides the player any real opportunity to do so. You simply follow the path and mark off another check mark. In the end all you’re really doing is little more than counting electric sheep. Ups Exceptional visuals and solid world building. A nice sense of mystery in the opening hours. Downs Bland puzzles and linear interactivity. Predicable story the goes nowhere and fails in the payoff.